Humans. Strange beasts aren't we? 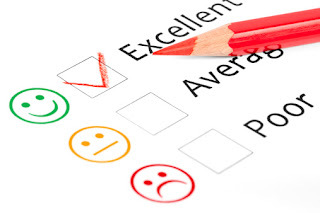 In our consumerist society we have so many methods of providing feedback to anything or anyone we purchase something from or have been supplied a product by. Amazon reviews, customer surveys, even word of mouth all contribute to a mass dissection of our collective opinions on 'stuff' and of course the whole crux of writing and contributing to a children's book blog revolves around writing something that may convince or steer away others from grabbing the book, comic or product you're imparting your wisdom and experience on. Sometimes I still feel a weird sense of guilt about trying to do so when it comes to things we've been sent 'for free' - and I still feel a bit uneasy about the whole 'parent blogger' thing of reading a piece of ringing praise for something that you know wouldn't perhaps garner such a positive response if you had to pay out your own hard earned cash for it. It is slightly easier with books than juice drinks, admittedly. Anything that is underpinned by your own personal tastes can go either way, eliciting a positive or negative response that others may or may not agree with but it's still sometimes good to find yourself in a position where, despite a good case being made, you hugely disagree with someone over a particular book. But returning to the question, why do we humans feel the need to review things? I feel like I've been doing it since time began - initially writing videogame reviews (don't bother searching for any, they're terrible!) and realising that writing about videogames really does bring out the very best and worst in people (and sometimes the worst in yourself). 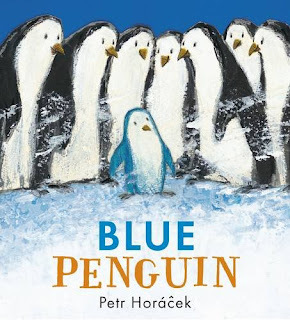 Children's books are a lot easier to write about, the whole community is entirely different, nice people are everywhere and though there are arguments and counter-arguments that the children's publishing industry is female-dominated and that could well be the reason it's a much nicer place than the videogames industry, that's a debate for a separate editorial! For us it's the chance to share something with others, to build a sort of 'You liked this? Me too!' rapport with other lovely book folk or in some cases, to get into a well-reasoned debate or discussion about why a particular title didn't hit the mark for us (or you). It's also partly a reward for a job well done. In instances where we've written something nice about someone's book and they've responded saying they like what we wrote, the reward is double-sided and it means a heck of a lot to know that someone whose work you've evaluated has responded in kind. We put a lot of effort into what we write, and sometimes I think that gets lost in the assumption that because we write a lot of reviews, we do so without thinking about the content. Each review, drawn from mental and scribbled notes of our shared experience during readings, often may look fairly short and concise on the blog page but will be the end result of a lot of trial and error. I came to the conclusion that anyone who manages to get their child to write reviews that are pleasurable to read and informative really has a prodigy on their hands because even now, with Charlotte old enough to pick up the keyboard and peck out reviews herself, the end results wouldn't really cut the mustard. It seems to be far more easy to distil a verbal discussion into a review than it would to watch a child put together a readable review, marrying what they're thinking to what they're typing. Ah November, that noble month that comes in with a bang (of fireworks) and goes out with an even bigger bang as we start counting down to Christmas (like we haven't been doing that since July!). 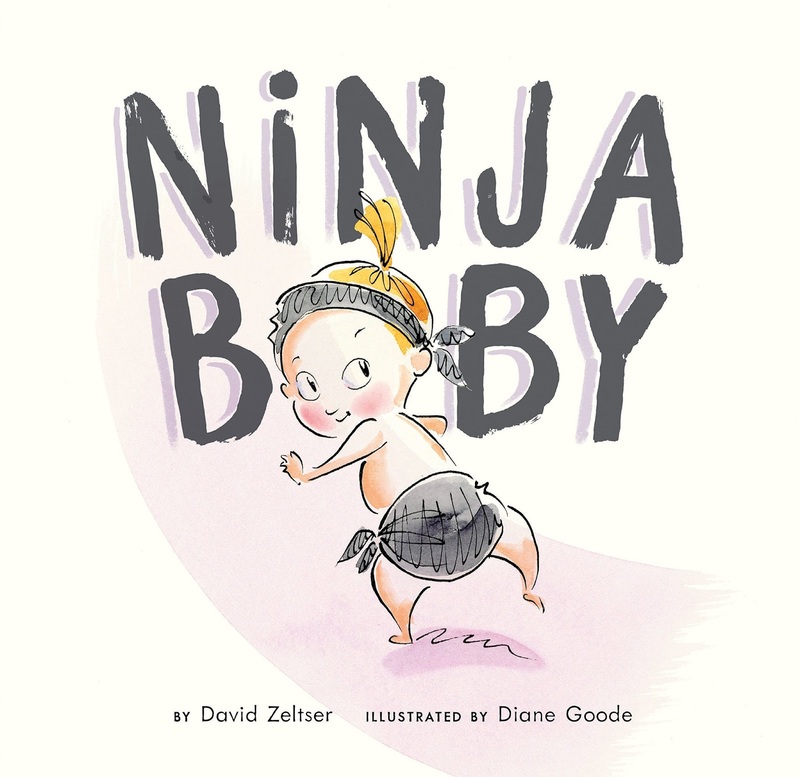 So what's in our treasure trove of chapter books this month? All manner of awesomeness, that's what. 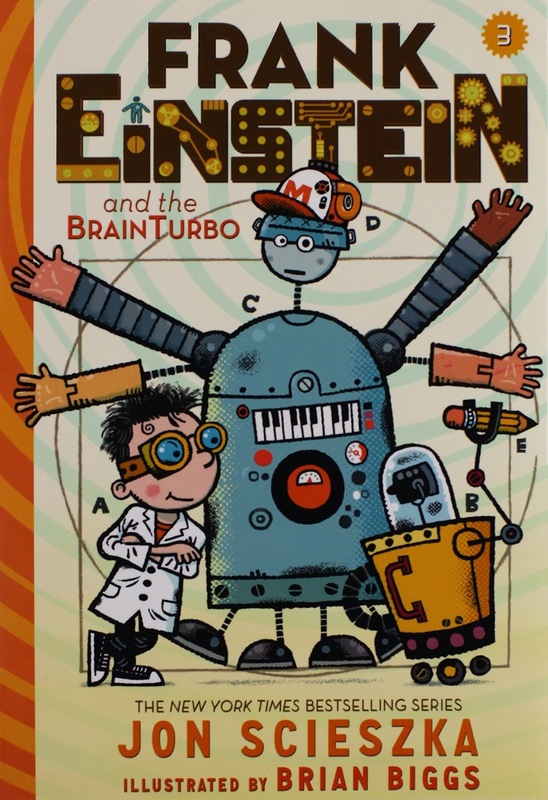 We start off this month by taking a look at the third book in Jon Scieszka and Brian Biggs' brilliant "Frank Einstein" series. In "The BrainTurbo" Frank and his artificially unintelligent pals Watson, Klink and Klank are on a new science quest to tap the power of the human body. Again, going directly up against arch rival T. Edison, Frank will have his work cut out as everything seems to be going haywire! 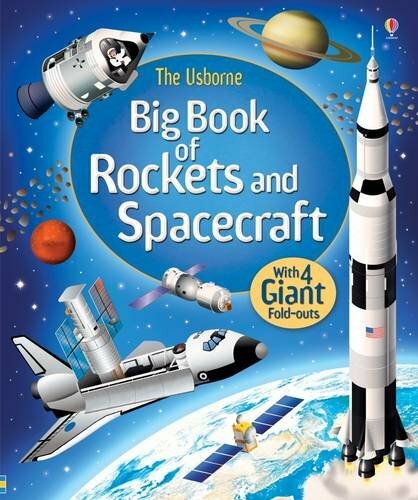 This series is an utterly brilliant mix of science fiction and science fact, peppered with Brian Biggs' fantastic diagrams and illustrations to sneak in a bit of book learning by tapping into children's imaginations. Utterly brilliant! 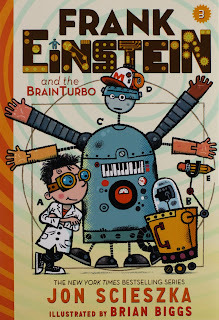 "Frank Einstein and the BrainTurbo" is out now from Abrams Young Readers. 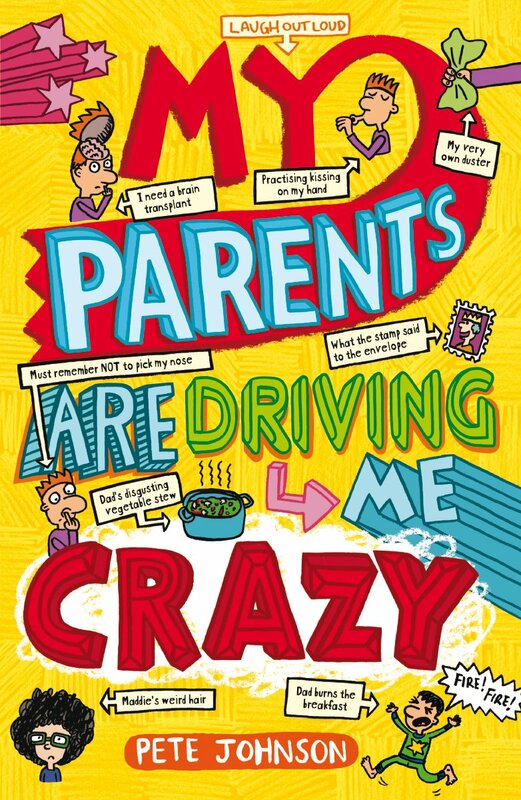 Pete Johnson's "My Parents are Driving Me Crazy" is a hilarious new book from an awesomely talented chap, with a penchant for being able to see life from a child's point of view. 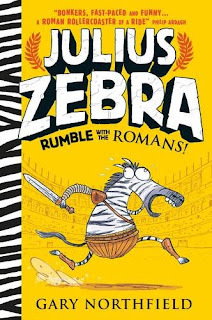 Riddled with delicious humour and sly pokes sideways at parents, it's utterly rib-tickling stuff as we meet Louis, long suffering star of Pete's book series (see also "How to train your parents" and "My parents are out of control" for more of Louis' adventures). This time Louis has just about had enough, and starts thinking up devious plans to thwart his parents' interfering and annoying behaviour. Send help, because we think Louis has a real job on his hands. 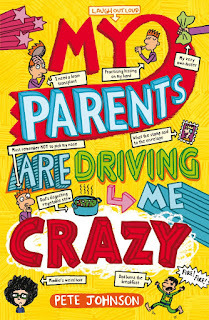 Fans of Tom Gates and David Walliams are going to absolutely love Pete's book series, dive on in as "My Parents are Driving Me Crazy" is out now from Award Publications. "Miss Peregine's Home for Peculiar Children" by Ransom Riggs instantly grabbed my attention when it was first released a few years ago by innovative publisher Quirk Books. 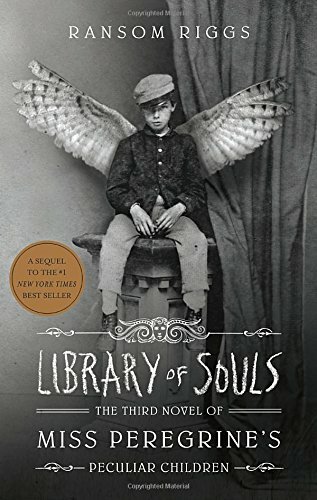 They've gone from strength to strength, publishing some of the most darkly delicious books on the market and the "Miss Peregrine" series is now on book 3. Open up "Library of Souls" and you'll be once again drawn into a parallel world that is inescapably fused with ours, that crosses the boundaries of space and time as young Jacob Portman discovers more about the legacy left to him by his Grandfather, that of the secrets of the "Peculiar Children", kids with very special abilities that now hold the key to saving the world from dark and evil forces closing in on our heroes as they take flight. 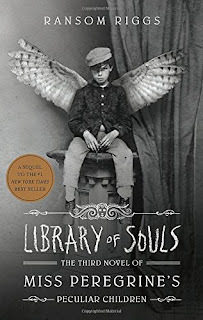 "Library of Souls (Miss Peregrine's Peculiar Children Book 3) is out now from Quirk Books. 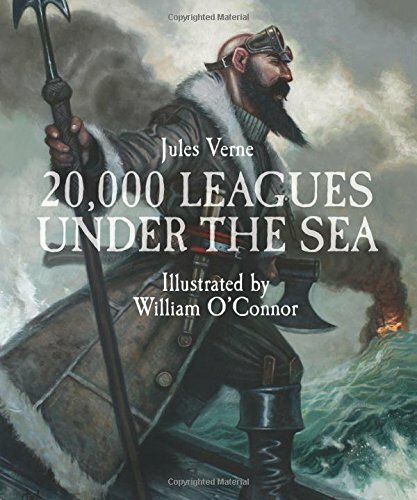 "20,000 Leagues Under the Sea" by Jules Verne - with this edition stunningly illustrated by William O'Connor is a sumptuous and luxurious new hardback edition from Sterling Illustrated Classics. The story of Captain Nemo, scourge of the deep, and his quest to rid the world's oceans of "plunderers and pirates", it's astonishing to think that this book was first published in 1870, and set the tone for many science fiction and fantasy books to follow. With over 70 truly amazing illustrations from William O'Connor, picking out Nemo's watery world in a really gorgeous steampunk style, this is probably one of the best editions of Jules Verne's incredible tale that we've ever seen. "20,000 Leagues Under the Sea" is available now from Sterling Publishing. One more? Still mulling over which version of a particular well-loved classic to pick up in its 150th anniversary year? There's always room for one more Alice...! "Alice's Adventures in Wonderland and Through the Looking Glass" by Lewis Carroll with classic illustrations by John Tenniel has just been reprinted in the Barnes and Noble Leatherbound Collector's Edition version (which up till now has been fetching a pretty penny second hand as it really is the definitive version IMHO). 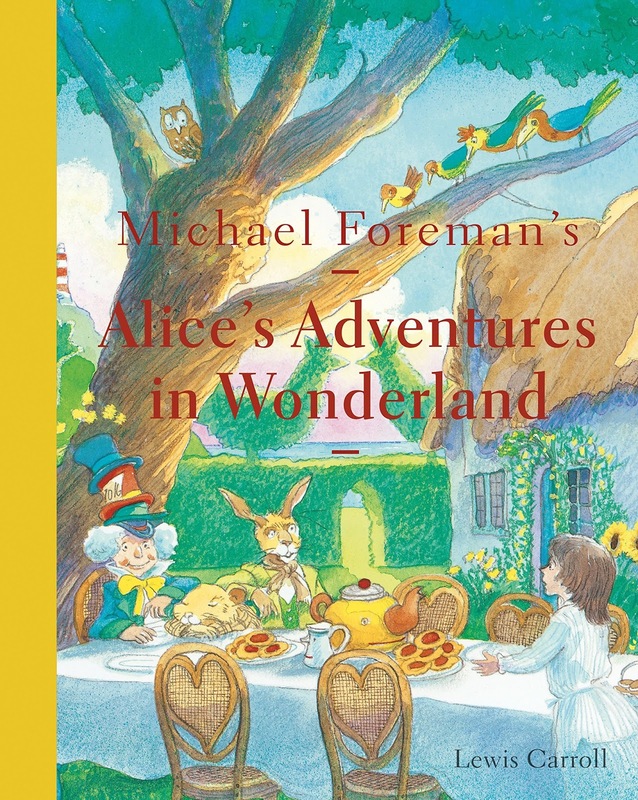 Now you can pick up your own copy of these two stunning stories, picked out in a silver-edged hardback edition absolutely perfect for celebrating Alice's 150th year. 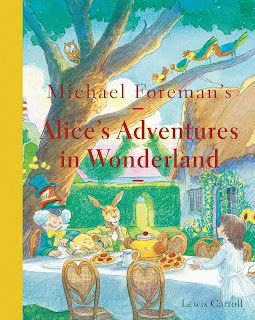 The classic tale of that inquisitive little girl and her amazing adventures in wonderland has never looked better than in this version, complimented perfectly by Tenniel's stunning illustrations which set the bar very high for any other illustrated versions to follow. 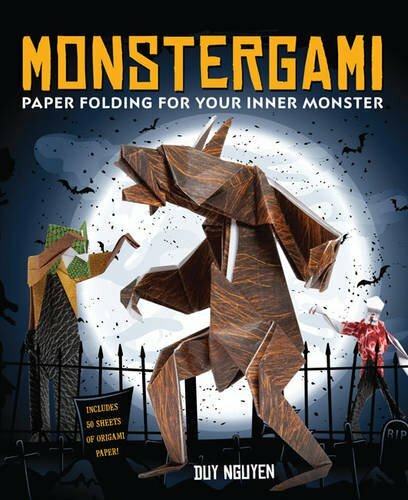 We have so many different versions of this book at home but this is by far our favourite so if you're really puzzling over which version is best for your bookshelf, puzzle no further! 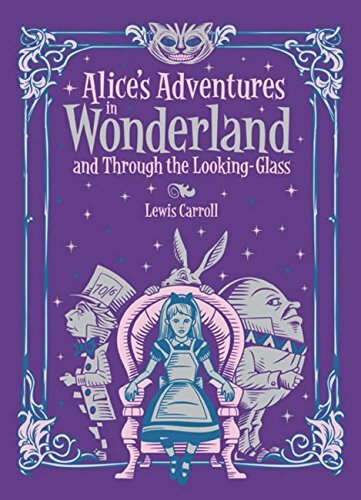 "Alice's Adventures in Wonderland and Through the Looking Glass" is available now from Barnes and Noble Publishing. Phew, shall we call that a wrap? 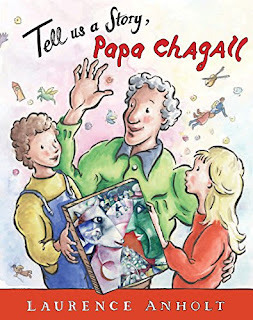 Look out next month for a seasonally flavoured edition of our chapter book and early readers roundup. Crack out the mulled wine and mince pies, it's Christmas soon! 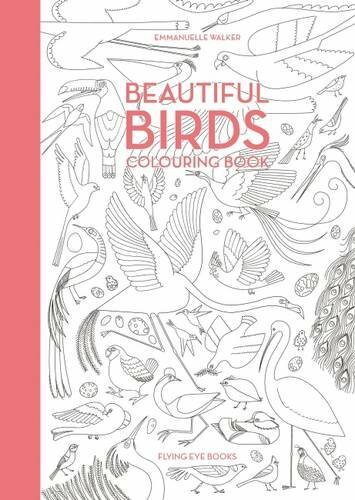 The new trend for fabulous and complex colouring books shows no signs of slowing down and here's an utter beauty...! 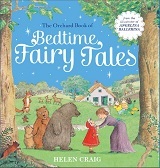 It's not always easy to pick the best version of a classic fairy tale from the multitude of versions available. How could we possibly recommend the best to you when we've seen so many different ones. Well, simple answer is we can't but we can definitely shout about these versions from Sterling Publishing, reprinted for 2015. 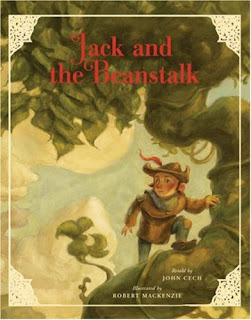 First we'll take a look at Jack and the Beanstalk from John Cech and Robert Mackenzie. 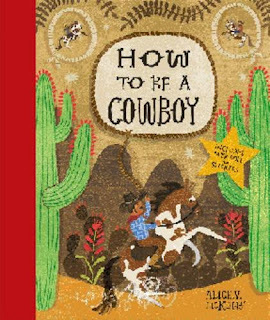 The classic story of a young boy, Jack, who never quite gets things right. He always comes back from market with the wrong items but when he comes back with a handful of magic beans instead of money for the family's beloved cow, it's the last straw for his mum who throws the beans out of the window. The next morning a huge beanstalk stands proudly in the garden, and against his mother's pleas, Jack climbs up to the top to investigate. 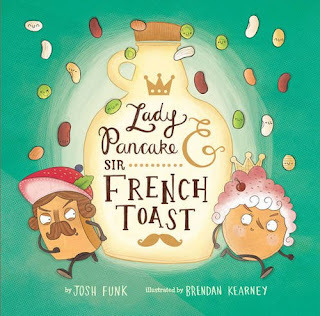 What he finds aren't tasty beans for the family's evening supper but a mysterious castle inhabited by a nasty evil giant. The giant's diminutive wife takes pity on Jack and feeds him but her hubbie comes home and throws a massive tantrum until he's absolutely satisfied that no humans are lurking around ready to steal his golden egg-laying goose, his beautiful singing harp or his infinite sack of gold. Pretty sure you know how the story goes from there. 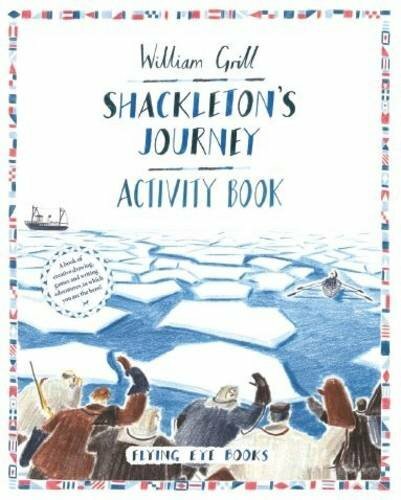 This version comes with the most glorious illustrations to really bring the story to life. 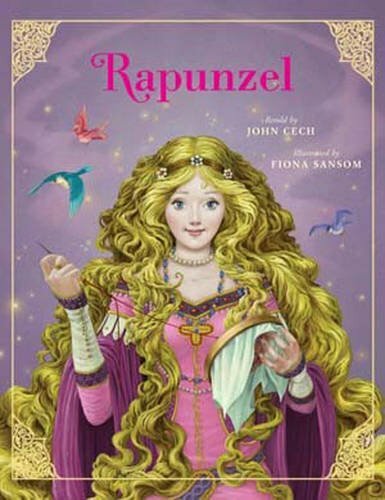 Once again from John Cech, with illustrations this time by Fiona Sansom is the Sterling version of "Rapunzel". 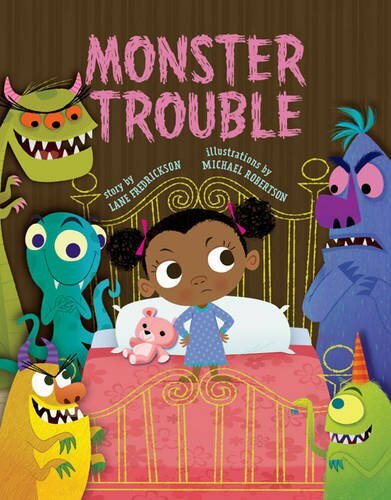 The tale of a young girl who is given up by her parents after a rather tricky deal with an evil witch. Their precious child is whisked off to a distant tower in the forest and brought up as Rapunzel by the witch. Cut off from the outside world, Rapunzel's life doesn't seem too bad until she meets a handsome Prince who discovers the hidden tower. Falling in love, the two plot Rapunzel's escape but when the witch discovers the ruse, she plays a horrific trick on the Prince. Will the two ever live happy ever after? The original story that Disney have taken and turned into a smash-hit movie (Tangled) is more enchanting in its original form. 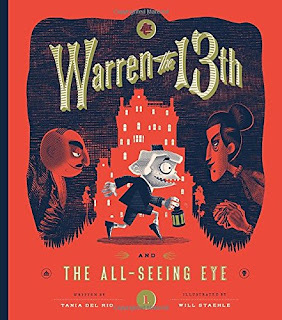 Exquisite and luxurious illustrations make this a fabulous version of the tale that may even win your weeny ones away from Disney's version. 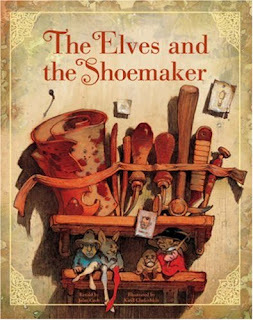 Last but by no means least, John Cech teams up with Kirill Chelushkin for a touching and heartfelt version of "The Elves and the Shoemaker" - the classic tale of an old couple who work their fingers to the bone struggling to make ends meet in their tiny cobbler's shop. One night, exhausted, the old man lays out the materials for shoemaking the next day but when he awakes, he finds the most gorgeous pair of shoes waiting for him. A rich merchant buys the shoes and declares they're the best pair he's ever worn. Once again the old man lays out more leather for two more pairs of shoes, and once again his mysterious nocturnal helpers willingly oblige. It's only when the man and his wife hide one night to catch their helpers in the act that it becomes apparent that two raggedy elves with deft fingers are responsible for the mysterious footwear. 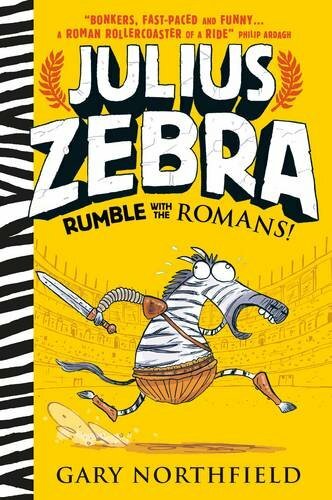 Again, as with the other two books, glorious vibrant artwork makes this an absolute winner. If we had to choose between all three books (and there are many more in Sterling's fairy tale range), I think we'd both agree that we loved "Jack and the Beanstalk" best - a great opportunity for me to put on my biggest booming giant voice! All three books are available now from Sterling Publishing. Unveiling our awesome new Blog Header image courtesy of Michelle Vinall! Exciting stuff! We've just had a bit of a spring clean and the cherry on top of the blog-cake is this awesome new header image from Michelle Vinall. We commissioned Michelle to come up with something that showed our love of diving into books and she came up with this astonishingly brilliant header image featuring Charlotte and I. We're completely in love with it, and hope you will be too. We think she's done an absolutely stunning job here. What do you think? Let us know in the comments below! Sometimes it feels like it's been raining forever. Not that we mind the rain, it gives us a good excuse to crank up the heating, grab a cup of hot chocolate and dig into an activity that's as soothing and restful as possible. We've featured a few of the fantastic books in Laurence Anholt's fab "Anholt's Artists" range but could "Tell us a Story, Papa Chagall" feature one of the most child-friendly artists ever? You betcha...! It goes without saying that the campaign has the best of intentions, aiming to inspire people (and more importantly children) to pick up a book and dive inside. Reading through some of the planned activities I rode a rollercoaster of being excited about or nonplussed by some of the things mentioned as coming up in 2016. Firstly, fantastic to see that this will tie neatly in with the celebrations of Roald Dahl's centenary year with dramatised adaptations of Dahl's "Boy" and "Going Solo" books (which sounds fantastic). So up at the top of the roller coaster shouting hooray for that one. 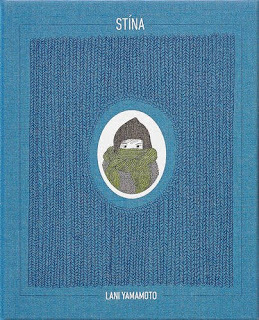 Where are all the fantastic contemporary authors and artists who should also be championed? 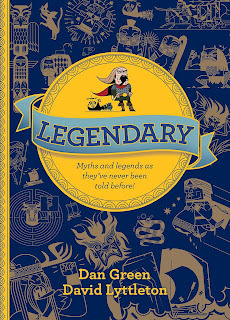 Can we hope that the planned CBBC "Awesome Authors" programmes at least include a good brace of our favourite book folk? Fingers crossed. Now to the main grist of this particular editorial and the reason for the fantastic and happy image in the header, and something that's been bugging me for a heck of a long time. 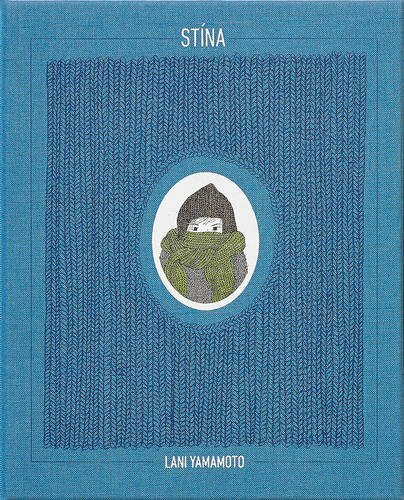 Creativity needs to be at the heart of any campaign encouraging folk to wrap themselves up in a good book. I feel that creative and artistic kids probably already feel like second class citizens in schools under the pressure to become literate and numerate but surely no great strides can be made in improving child literacy if only done so for academic achievement or as a means of meeting a government guideline on reading age and ability? We're back to that old argument about 'turning kids off books' for life if they're only being served a diet of dry old classics purely used as a measuring tool rather than something that will enhance and enrich their lives. Charlotte is lucky that she gets a good balance of both logical and numerate thinking & super craft skills from her mum and daydreamy artistic creative stuff from me (I'm practically number blind but am a rabid bookivore so the balance is probably a bit skewed at times). Watching Charlotte draw is one of life's genuine pleasures and listening to her when her imagination has been fired up by a book, character, comic or story is again a genuine pleasure and something that I know makes a huge contribution to her appreciation of books and reading. We can also directly see the impact her imagination has on her school work (particularly literacy / reading). When recently watching and listening to her working through an exercise in producing a set of sentences using verbs, she came up with ideas that weren't just simplistic and functional, weren't just box ticking but showed she had a genuine understanding of how to 'storify' her work and how to make language work for her. It also comes across in the way she speaks, and the way she is curious about unfamiliar words and grammatical nuances of English that have come through soaking up a huge diverse range of very imaginative and stimulating books. I'll be watching how the BBC's campaign unfolds very closely (and reporting on it here as much as possible). 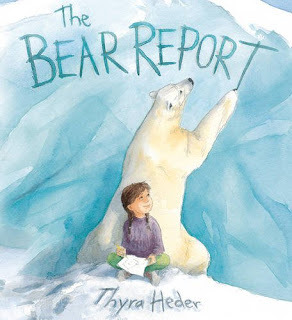 If one thing comes out of the year, I'd love it to be recognition of the fact that we will never achieve the goal of getting more children into reading if we push and force rather than encourage and inspire. 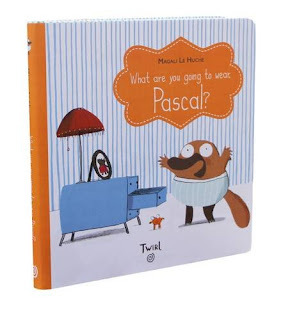 Pascal, the duck-billed platypus has a problem that many of us share. He's woken up this morning and he can't think what to wear! A-HARR! OHO! It's time for a book we've been waiting for since...oooh since AGES! 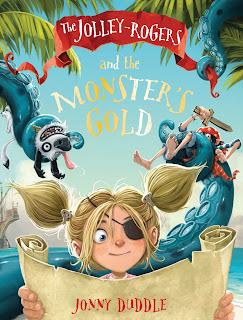 The welcome return of a most heinous beastie in the latest book from Jonny Duddle, "The Jolley-Rogers and the Monster's Gold"
Writing a report on something for school? Can you think of anything worse? 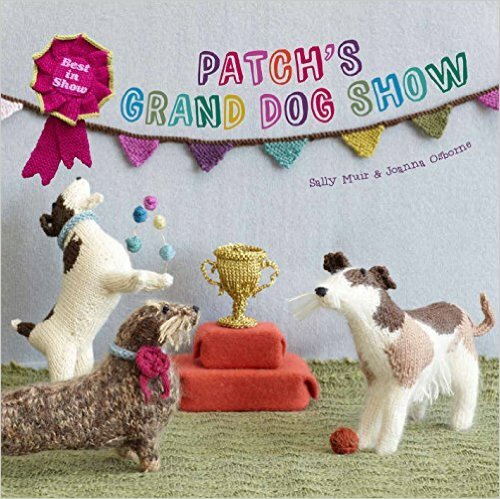 Well how about a book that will dazzle and inspire you instead! Aw, it's a bit of a shame that this didn't quite turn up in time for our Halloween coverage but any time is a good time for making monsters...! 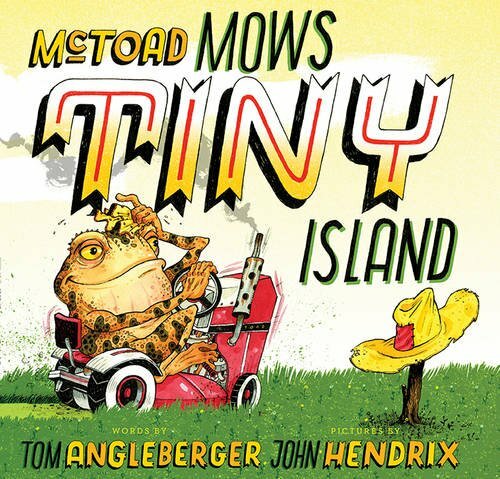 Our Second Book of the Week this week is a mad dash through the inside of the fridge with an unlikely pair of heroes. 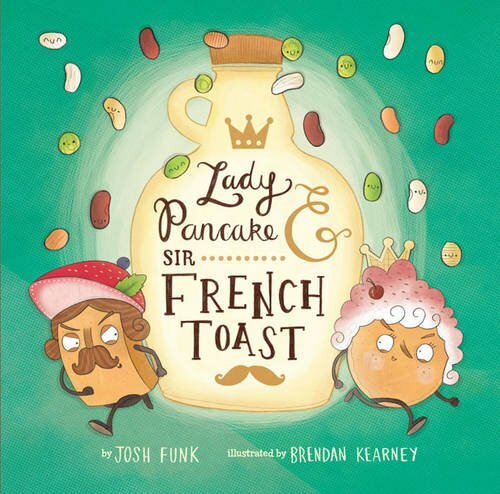 Meet Lady Pancake and Sir French Toast! "Snottydink" - If you're able to say that without rolling your eyes you're a better person than I am! ...came away with a stark message for all you wonderful creative folk who make the children's publishing industry the powerhouse it is. "Kids books are easy. Kids are too unsophisticated and dumb to need much more from their books. You're all doing it wrong and we've just shown you how easy it all is really!" Obviously at this point a lot of people out there are chewing their keyboards in half, snapping pencils or throwing filing cabinets out of the nearest office window in disgust. "The Apprentice" is, after all, television entertainment served up as some sort of expert opinion on what makes modern business types successful, and how modern business is conducted in every marketing sector the programme touches. During the programme (which is still available on iPlayer and well worth a watch if you can stomach it) it was quite interesting to note that every time a publishing or creative professional became involved in the various pitches, you saw a tiny glossed-over smidgeon of what it really means to work in the industry, what it means to write or illustrate - and what it means to strap all that together into a book that's going to leap off the shelves into tiny hands, and become something that kids will read and remember. 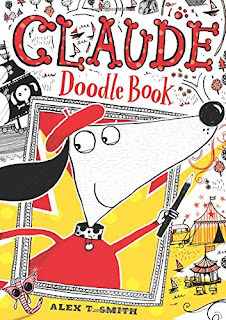 None of the books pitched achieved that - particularly the absolutely awful "Snottydink" which looked like it was hewn from the same template as an awful lot of self-published titles we've turned our noses up at. 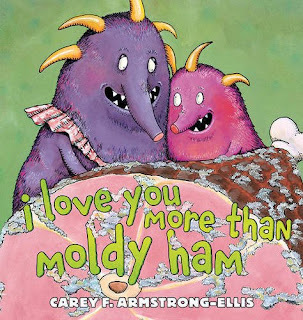 The assumption was that kids love rhymes, even really bad ones. 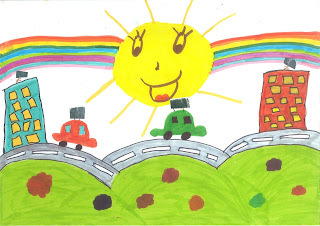 Kids love drawings that look like something they'd do. Kids, in essence, are not sophisticated little humans who have developed any taste whatsoever so early on in a book's inception, adopt a "that'll do" approach to save yourself some time and effort. What. a. Crock. of. BULL! 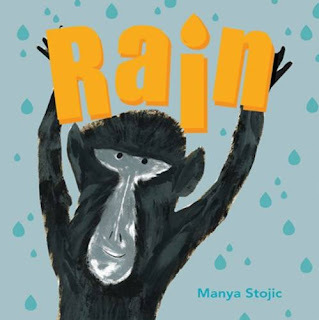 Do you ever notice a recurring theme in our Book of the Week winners here? Scroll back through the blog, even back to the very beginning when Charlotte was 2 and look at those BOTW winners and tell me if you spot books with horrible clumsy awkward rhymes that read aloud sounding like someone being hurled down a flight of stairs stapled to a grand piano. 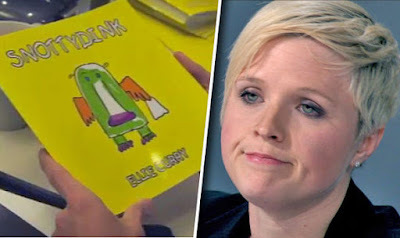 Show me child-like appalling illustrations that mimic the sort of drawings your child does when all you've got in your handbag is a leaky biro and a couple of old shopping lists. Show me insultingly dumbed-down grammar, appalling cliches, abhorrent characterisation, staccato story flow. None of those will be there because, as bookworms ourselves, we'd never let Charlotte anywhere near books like that. Be honest though, did you tune in expecting to see anything different? 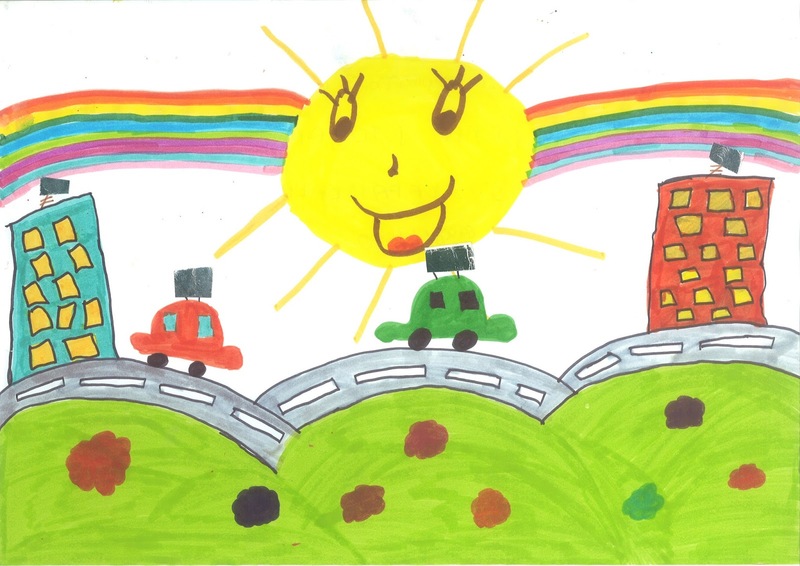 Most folk involved in children's publishing would readily admit that they encounter the attitude displayed in spades on the programme in their everyday lives. I get it all the time. 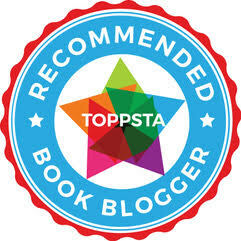 "Oh so you blog about children's books? Wow, you must be some sort of weirdo / unsophisticated simpleton / did we mention weirdo?" 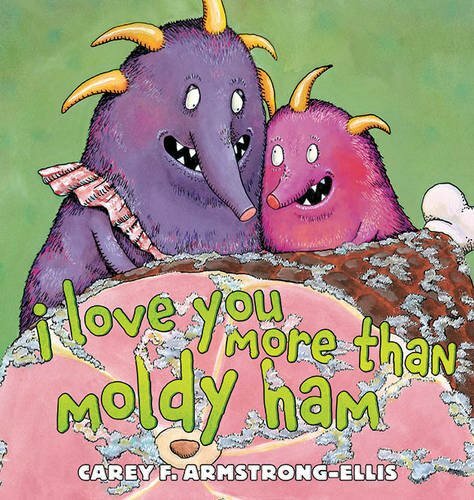 I'd imagine if you write children's books you get this a hell of a lot. People assume you have the easiest job in the world because you can just slap any old crap together and kids will never call you out on it (which of course, is absolutely pricelessly untrue). Illustrators may have a slightly easier time of it because no one - even a stupid wire-headed fool like SirAlan - would stand there and tell you that artistic ability is purely determined by how quickly you can knock out a set of drawings. So no surprises in the episode. I genuinely felt sorry for book folk who were involved in it (it must've seemed like a dream gig I'd imagine) but it was pure gold being on Twitter the evening the episode aired. It really was. Some characters just BEG to be plucked off the page and given a right old cuddle. 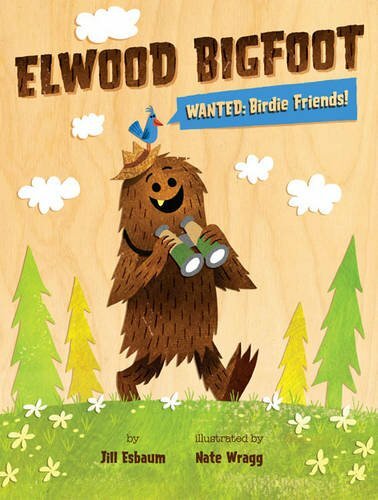 Poor Elwood Bigfoot is one such character but how can a furry fellow with such joie de vivre be spurned by the feathered creatures he wants to befriend? An absolutely stunning pair of classics reissued by Frances Lincoln Publishing. Check out "The Arabian Nights" and "Queen Guinevere"
We're travelling the world in search of fabulous stories today - and first we're off to Ancient Persia for a set of stories that contain tales that people are very familiar with (even if they never realised they were part of this story collection). 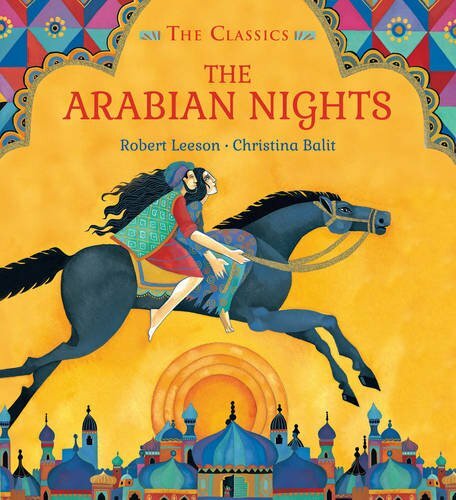 "1001 Arabian Nights" is the inspiration for a collection originally adapted by the late, great Robert Leeson. "Who?" Well for a generation of folk (probably about my age) Robert Leeson is something of a writing god. He's the author whose book "Grange Hill Rules, OK?" was eventually turned into a rather well known TV series. 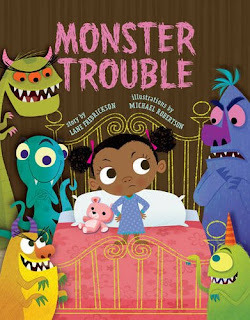 In this collection you will find fantastic versions of some of the best loved tales including Ali Baba and the 40 Thieves, Aladdin and some lesser known tales like The Ebony Horse and The Tale of the Hunchback, The Sleeper and the Waker). 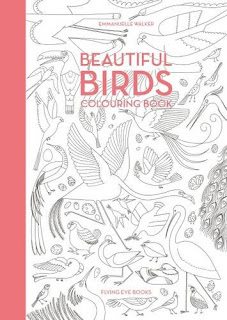 Gloriously illustrated by Christina Balit, this is a luxurious collection of scintillating stories. 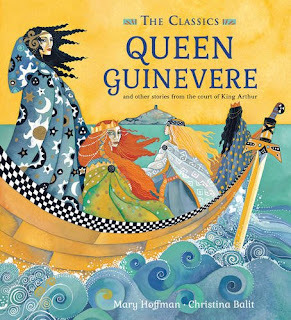 Once again gorgeously illustrated by Christina Balit, but written and adapted this time by Mary Hoffman, "Queen Guinevere and other stories from the Court of King Arthur" tackles some of the glorious stories of Arthurian legend, a subject very dear to our hearts as we can't get enough of reading about King Arthur and the knights of the round table. This dramatic retelling, based on Malory's "Le Morte D'Arthur", is retold from the perspective of 8 women who are key characters in Arthurian legend but are often overlooked in favour of the more familiar characters like Arthur, Uther, Merlin and Sir Lancelot. Read the tale of Queen Guinevere, The Lady of the Lake, and the nefarious Morgana in this brilliant collection. "The Classics - The Arabian Nights" and "The Classics - Queen Guinevere" are available now in Hardback from Frances Lincoln Publishing. War? What is it good for? Absolutely nothing (say it again!) Alright, enough of the cheesy pop quotes let's dig into Steve Antony's latest story with two distinctly different contrasting factions. The green lizards are small, squishy and travel together in huge numbers. For what seems like an eternity they have lived at constant war with the Red Rectangles, stark, angular and pointy-cornered. 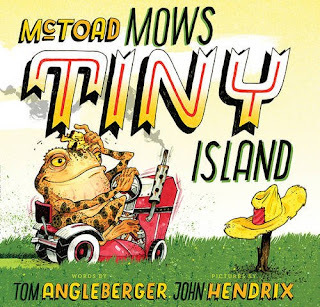 No one can quite remember how the war started, but the two sides cannot live harmoniously until one fateful day when the smallest green lizard asks a very important question. "What are we fighting for? Why can't we live in peace?" An understanding is reached and as the book comes to its gentle conclusion you'll see what can happen when one lone voice of reason becomes many, and two sides finally work together to achieve understanding and peace. 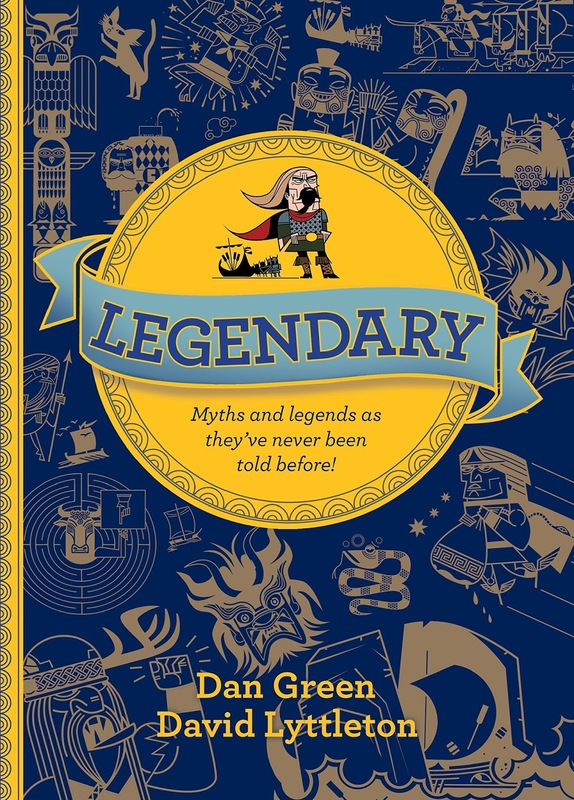 Steve's trademark uber-detailed artwork (with some absolutely brilliant little expressions on the green lizards' faces) comes into play as the book's stark contrasts prove hugely appealing to young eyes, while imparting a fantastic, positive and important message. 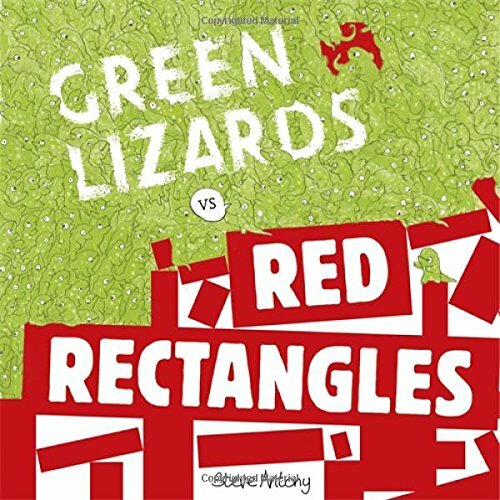 Charlotte's favourite bit: Green Lizards and Red Rectangles living in harmony in a cool red des res! Daddy's favourite bit: A subtly delivered yet powerful message in the story, delivered with glorious detailed spreads that will make tiny teenies little eyes pop out! Fantastic! "Green Lizards and Red Rectangles"
She's stealthy, she's sassy, she wears a nappy! Who else could it be but "Ninja Baby" ! I'm sure most ReadItDaddy readers wonder if I ever do anything else but moan about books but this week's editorial is a little different. It's a celebration of two things (well three really, the third being that patience does pay off with a possible option on a fourth thing which is a generic "sod's law" thing) so let's talk about teachers. Teachers are, for a relatively short period in our lives a huge influence on us (unless you're married / are parented by one) and sometimes you'll bond with a teacher in such a way, that you'll remember them for aeons after you sat fidgeting in their classroom, picking your nose and flicking it at Karen Snow rather than paying attention to what's going on or being said. Bounds Green Infants School was my first 'big' school, a huge rambling building that looked more like a Victorian workhouse than a school. It had outside toilets for the boys - inconveniently placed at the other end of the playground (no, I'm not kidding!) There was no grass to speak of, just hard tarmac all round - and the classrooms were those huge open-plan spaces that folk in the 70s thought would become the norm. The teacher I'm thinking of wasn't even my first teacher. My first teacher was a scary lady called Mrs Taylor, who (like a lot of teachers in the '70s) looked a bit like she'd been lifted from the pages of a Grange Hill novelisation. Strict, no-nonsense and pretty terrifying. "No, Peter. No, Jane. I will not play with you!" 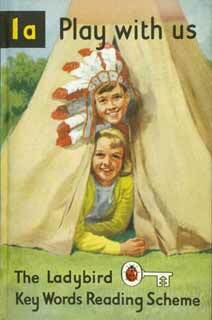 All schoolkids go through a phase when they're on a reading programme of sorts, and ours was the Ladybird Key Words Reading Scheme which for me was like reading with the handbrake on, dragging a solid iron anchor, while tied to a block of concrete. The books frustrated me and because of my frustration I wouldn't read them properly. The previous teacher thought there was something wrong with me academically, but Miss Cox nailed the problem straight away. "You can't read these books because you don't want to read them" was her summary. "I'm going to try you on this..."
The book she gave me to take home (unheard of at the time) was John Gordon's "The Giant Under the Snow". 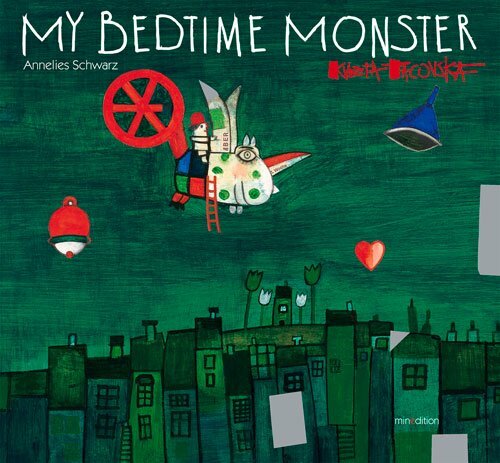 It was a bit of a scary moment, being given a book with very few illustrations in it and a LOT of tiny words, a book not meant for a 5 year old. Looking back on it, if the incident had happened now it might've ended up with Miss Cox explaining herself in front of the head teacher or being booted out of school by a 'concerned' PTA board, but what actually happened was that I took the book home. And read it. And re-read it. And read it again until I thought my eyes would fall out. The floodgates were opened. I returned the book to her and she quizzed me on it. I'd read that damned thing to death so I swatted away each and every question she had about it so she knew I'd read it. She KNEW and it was like hitting all the right bumpers on a pinball machine. Miss Cox switched me from The Ladybird Key Words Reading Scheme (Sorry Ladybird, nothing personal!) onto a steady diet of books like "Stig of the Dump" and "The Hobbit" and "The Silver Chair". Whenever the book newsletters came round (other 70s schoolkids probably remember these book newsletter things that your parents could order books for you from) I skipped the picture book stuff and went straight for whatever the latest Methuen or Puffin Readers were, in the section at the back of the newsletter meant for the older kids. The second part of this post concerns trying to get hold of a copy of "The Giant Under the Snow" some years later. My childhood copy had sadly got lost in any one of a zillion house moves. We moved around a fair bit as a kid but moving from London to Oxford, we lost so many things including a hell of a lot of books. 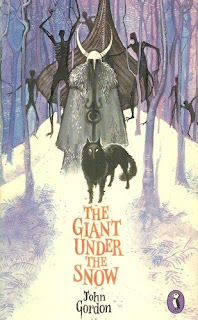 From the age of 9 right up to my 30s I hunted high and low for a copy of John Gordon's "The Giant Under the Snow", sadly out of print and sadly (in pre-internet days) extremely hard to find copies of. 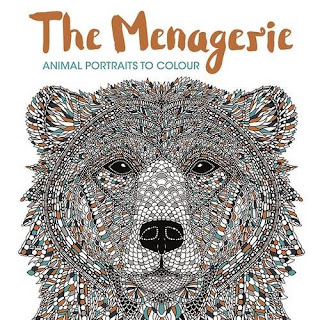 Every time we went anywhere I'd always scour charity shops or secondhand book shops just in case I spotted that flecked blue cover and that amazing image of the giant and his leathery skeleton cohorts, and of course that menacing Sirius Black-like dog. The book stuck with me, as much as the memory of Miss Cox did. Every time I tried to order it or even borrow a copy from a library it seemed to magically elude me. My doggedness paid off though and I still can't quite remember the sunny day mooching around a car boot sale that I found the copy that's nestled inside our book case at home, but I remember spotting it, practically KISSING the poor sod running the stall, and handing over money and walking off blissed out not even bothering to wait for change. A movie version of the book has been mooted for a couple of years now. Not sure how far the project has got but they'd better treat "my book" well or else! So that inspired this week's editorial. Two great things, a hugely inspirational teacher who really truly changed my life (and I dearly would love to know what became of her) and a book that did too. Both things that are an essential part of being at school, and I truly hope our school kids never have to do without either. 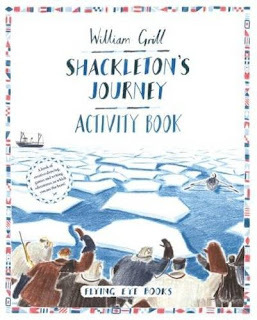 It's National Non-Fiction Month this month, and it's always good to see non fiction subjects approached in new and innovative ways by authors and illustrators. 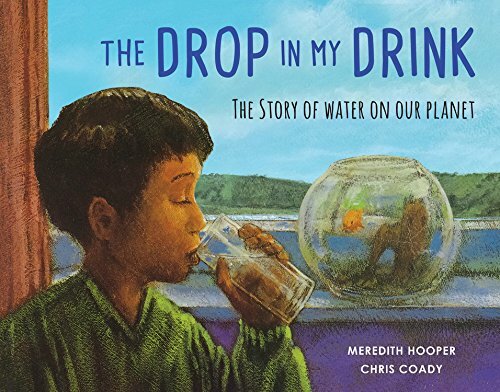 In "The Drop in my Drink" and "The Pebble in my Pocket", gifted science writer Meredith Hooper and illustrator Chris Coady have come up with a fabulous pair of prosaic stories that guide us through the process by which the planet's water makes its way to our tap (and our glass). The atmospheric illustrations compliment Meredith's gentle lilting storytelling style of imparting factual information about the oceans, rivers and underground water sources that we rely on. The book reads like a wonderful floaty dream. 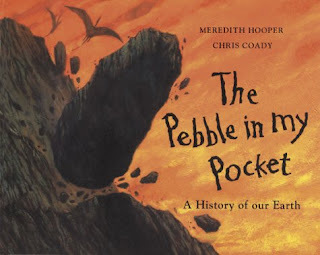 Our earth is also the subject of "The Pebble in my Pocket" as once again Meredith's prosaic style takes us on a whistle stop tour of the very matter that our earth is made from, and how violent volcanic events were the catalyst for the way the world was made. Every grain of sand, or indeed every pebble in your pocket had to come from somewhere and Meredith & Chris take us right back to the dawn of time, right through to the present day to show the Earth's birth, and evolution in fascinating pictorial detail. 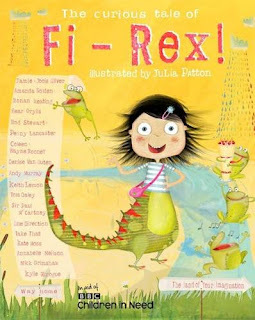 "The main character in this story is Fi-Rex who is half girl and half dinosaur, she has a little brother and it is his birthday. When Fi-Rex eats the gooey green sweetie lots of exciting things happen and she goes to many different places. Some of the lands are scary as you think she won't get home again but others are great. My best bit was being friends with the duck because he was really friendly and Gary Barlow. But the really best bit was the name of the bands, Pond Direction and Quack That. I laughed and ran up stairs to tell mummy the names! I liked all the signatures on each page so I know who wrote which page, some are very strange pages like Keith Lemon’s. 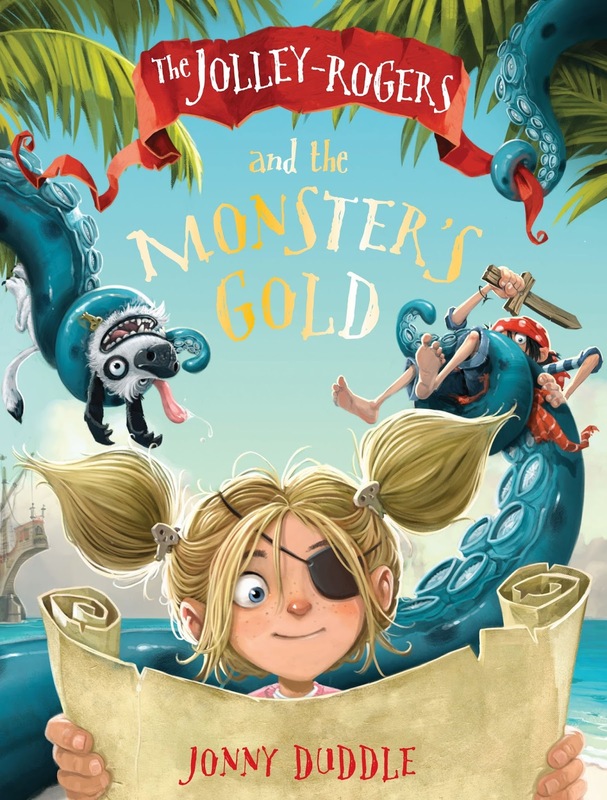 I think this book will appeal to people of my age or a bit younger (7), mostly girls I think but mummies and daddies will like some pages (Mummy and Daddy said they liked the Frog Song)." It's an interesting idea, celebrities like Sir Paul McCartney, Rod Stewart, Jools and Jamie Oliver and (gulp) Keith Lemon picking up the threads of a story from each other - ably illustrated by Julia Patton. Charlotte gives this a firm thumbs up! "The Curious Tale of Fi-Rex" is available now from Fat Fox Books. 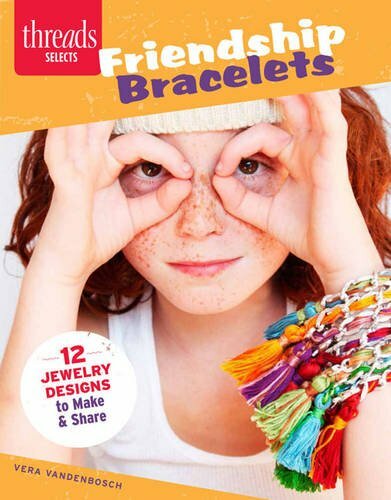 It seems like only yesterday that friendship bracelets were a 'thing' when I was a moody youth. Long summer breaks seemed to always kick off with a flurry of folk exchanging these with each other, and now it seems like today's younger generation are discovering the delights of making them as well. Vera Vandenbosch's "Friendship Bracelets" book takes creativity to the next level. Kids can soon discover how to tie some of the most intricate bracelet and braid designs using colour threads, beads and other materials.